My name is Alexander. Yesterday I occasionally found your blog, where you talking and discussing passing of HSK. This year I’m going to China,Harbin city for learning of Chinese language. Honestly say, I was and is impressed by your words, concerning passing of HSK, especially, I was inspired by the following expression: “LEAVING OF COMFORT ZONE IS THE RIGHT WAY FOR DEVELOPMENT”. Unfortunately I can’t assure you that Chinese isn’t difficult, because most things in life worth pursuing are a bit difficult. But something being difficult doesn’t mean you should give up! 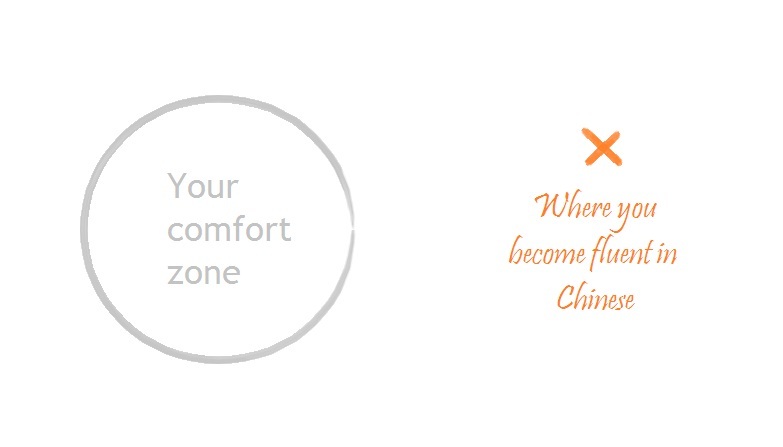 Mastering Chinese is a challenge waiting for you to achieve. You have probably seen a version of the picture above online. A simple picture can remind us that if we want to grow, evolve and improve, we need to leave our comfy sofa of comfort zone. Comfort zone is what we know already and we are comfortable in using. But you want to learn new vocabulary, phrases, grammar or characters, right? To learn something new we also need to do something new, no one can gather information without doing anything. Learning Chinese truly is exciting, it opens the doors for a full new culture, history and a huge country with its people. 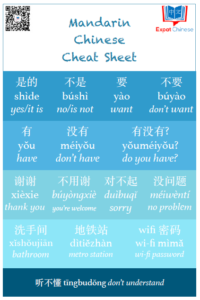 But along the journey we sometimes forget why we started at the first place, sometimes we need to remind our selves of the reasons we are studying Chinese. For example over a week ago I was going to an interview at the local TV station to be part of a TV show this Summer. A day before the interview I was terrified as I often am about new things. I even wanted to cancel! But then I remembered that one reason for me to learn Chinese was to experience new things! And what could be a better way than participating in a TV quiz show about Chinese language and culture. Speaking of HSK, there are two ways you can look at the Chinese Proficiency Exam. One is to improve on your own speed and use the HSK as a level test to see where you currently are. The other way is to actively use HSK as your goals and motivate your self by passing the levels and preparing for the harder exam. For more tips read How to pass the HSK test. Finally, I’ve always been inspired by learners on a higher level than me. A fellow Finn who has just translated his first book from Chinese to Finnish, Olle who is going to do amazing things on the field of teaching Chinese and John who has his own firm in Shanghai that helps people to learn Chinese. Alexander, you are on the right path and there is nothing stopping you in achieving your goals! 加油! Add oil! as they say in Chinese. How would you encourage Alexander to continue learning Chinese? Please add your recommendations in the comments. It takes time. Learning a language isn’t something that happens overnight. Once you find you can use Chinese in your daily life and don’t have too much trouble, it is time to further expand your horizons by tackling something new. Maybe pursuing a hobby in Chinese or starting a new job or studying something new. I now have Chinese in-laws visiting me in the US, and I have found I need a entirely new set of vocabulary. Excellent points Teya! Learning a language is not a sprint, it’s a marathon that takes years, sometimes even a life time as there are always new things to learn. And like you said, when one gets to the higher level, you start using the language to learn something new or achieve other goals. Hope your in-laws have a nice trip in the US!